Way: a particular course or direction set for us to follow. Law: a rule of conduct or procedure to govern me along the right way. Testimonies: evidence from real people in real situations telling me how to live in story form. Precepts: a principle that takes precedent over cultural norms of society that helped mold me. Commands: directions given with irreversible authority directly telling me how to live. 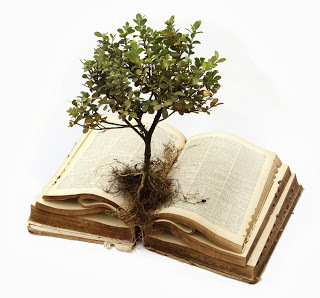 Statutes: guidance from the collection of rules established by God’s authority. Judgments: a testing my faith to strengthen it. Word: speaking to my heart by the Holy Spirit comfort and contentment. Righteousness: setting a standard for me, that if I apply, will set me living without guilt or sin. Truth: the supreme reality; the ultimate meaning and value of existence. “The Bishop of Edinburgh, unwilling to yield to the king of England, found himself on the hangman’s scaffold availing himself to the custom of the times, he was permitted the choice of a song to be sung before his death. He selected Psalm 119. Before two-thirds of the song had been sung, a pardon arrived and his life was spared.” [The Challenge, January 1, 2007] Sometimes longer is life-saving! Ed Nobel talked a lot about habits this past few weeks. One of the important habits is consistently obeying God’s rules for conduct. There are just two basic rules for living. First, have the right attitude toward God. Second, have the right attitude toward man. And where do I learn what that attitude should be? By reading and applying what I read. Psalm 119 is a great place to begin. I have learned that I experience the most happiness and contentment when I learned to become habituated to consistent listening and responding to God in obedience. Make no mistake. I am not talking about religious habits that make us think that we are something special to God and therefore have a certain holiness by obeying certain rules. What I am talking about is having conversation and action that is without hypocrisy. What I desire is that my will should be brought into alignment with God’s purpose. I want to experience unbroken fellowship with Jesus. Psalm 119 is the possibility psalm. It is really a clear statement of what I can experience when I believe what God says and then walk by faith according to his promises. God promises that my life will be blameless in His eyes if I follow His lead. All people have the possibility of genuine contentment but few take the right way that God has laid out for us to follow. God has established a hedgerow for us to live within and when we get obstinate and break out of the hedgerow by doing what we shouldn’t we end up with consequences not to our liking. And then we blame God or others. At least two or three times a year, we can pick up the newspaper and find some article on how a christian group or leader has fallen. All too often, the source of the fall is embedded in the avoidance of God and not taking seriously personal interaction with Him. This is not about tradition, public practices, parental upbringings or backgrounds. This is about personal relationship with the Sovereign Living God. So, when you read your Bible, are you focusing on the events you are reading about? Are you possible focusing on how questionable they sound? Or are you focusing on how God is defining life for you? Do you see life-shaping issues in your life that God might want you to trust Him with? You know the stuff I am talking about … those thoughts and actions that simply will not go away no matter what you do. Try it. Seek God were He can be found. He will find you. Many people will tell you that the universe is void and empty. Since there is no one out there then there is silence. But if we listen, we will find that the universe was created by God and therefore is fundamentally personal. There is a story out there. If we are related to the Lord Jesus than we are part of the bigger story being written called His story. If we are willing to listen then we will hear God speaking in a multitude of different ways. It is supernatural. We strive today to be informed as to the latest happenings and events. We hate being uninformed so we attach to many streams of social media. We look for trending. But without a connection to the Creator of the universe, we are being led astray. We are influenced by mute idols. Because we refuse or are confused by all of the chatter in the world does not mean that God has stopped talking. Under the old code, diversity was not tolerated. There were no options to obeying the code. It was unity under the code or penalty of separation or worse, death. 2000 years ago God updated the code. He undertook a new humanity project and this was all about unity through diversity. Under the old code there was a rupture causing alienation in our relationship with the Creator. God, wanting to repair the rupture, came to the earth as Jesus, who headed up this new humanity project. Jesus bridged the rupture and created a new man. It was like Gandalf suddenly showed up on our door step and our relationship to the Shire was never the same again. Here is the problem. Nothing makes sense in the Bible unless we are rightly related to the Author who is speaking supernaturally to us. The following article contains an imaginative reconstruction of the life of a Bible through the Bible’s eyes – pieced together from information found on the flyleaf of an actual Bible in China. I came off my press in 1992 so by China’s standards, I was a fairly new Bible. However, since I did not come off an official press I had disadvantages. My paper was not very thin, so I was a thick book…nearly four inches thick. That immediately gave me away as an illegal Bible. Also my cover was cheap and made of paper, so whenever I traveled, it had to be clandestinely. My first trip was at the bottom of an old suitcase down among the socks and underwear. The owner did not dare to take me out and read me on the train journey. We arrived in the north of China and I was taken to a small house where there was a class of sixteen house church leaders. They were overjoyed to see me. It seemed I was the only Bible they had there. Perhaps because of that I was actually roped to the table, so that no one could steal me. Then the students would arrange to read me in two-hour blocs, even through the night. I was in constant use. They would read me with a grubby finger, often sounding the words aloud. I heard all their emotions as they read – puzzlement, anger, joy and peace. A year of constant use began to take its toll and I had to be refurbished twice; once re-glued, and the other time re-covered. Every two months a few women from the house churches would come and spend hours with me copying my pages. The students used to get irritated at that time because they could not read me. The women copied me around the clock for a week each time. They were directed to certain books. One of them copied the prophet Isaiah in a week but mostly they copied the Gospels, Acts, Romans and Revelation. Suddenly the school was raided. I was jerked out of my rope and carried off by a policeman. Two students ended in jail for possessing me. I found myself in a dark cupboard in the policeman’s house. But I was not alone. He had a fifteen-year old daughter that used to creep downstairs at night and read me by candlelight right there in the cupboard. It was very cold for her. She was only in her night-shirt and her skin often turned blue. But she read me quietly, hardly daring to breathe as she turned the pages. After a few months she actually smuggled me away from there in her school satchel. Perhaps she thought her father would never notice. Anyway I was passed into the hands of a young itinerant evangelist who treasured me as if I was a baby. He would wrap me in his luggage and cycle from village to village. He rarely had time to read me himself but when he would preach, he would turn to a few of his favorite passages, read me and then preach. He loved preaching from Romans Three and on the parables of Jesus. He would weep as he preached, his tears falling on my open pages in great drops, smudging the print. But after a few months someone robbed him, stole me and I found myself in a house full of incense. It seems my new owner was a Taoist priest and for a while I lay on his altar to his ancestors, flanked by two oranges and a bag of nuts. But a visitor saw me and shrieked in horror warning the man what trouble he would be in if others saw me. This intrigued the priest so he began to leaf through me. But he could not read very well so he invited a local Christian to come and explain some passages. A month later I saw them both on their knees, confessing their sins to God and trusting Jesus. The next thing I knew the altar had gone. Soon there were groups meeting in the house – mainly because I was there. I was read aloud and then they would sit and discuss the words until it was very late. Once they took me out to the fields and when they stopped planting rice they gathered everyone around and read me. But the leader of the work unit grew angry, grabbed me and began to stand on me, pressing me into the mud. To my surprise, the others rose up and threw him in the mud. But I was sodden and half-ruined. They took me back and tried to dry me out but it was too late. After a conference they decided to burn the spoiled parts, then to split up the remaining books and sew each one with thread. So I became thirty-one books instead of just one. But that is when I lost my flyleaf and so my tale must end. Judgment Day on May 21, 2011? For months now there have been billboards on freeways and flyers circulating about the coming judgment of God on the world. People are asking questions as to how can anyone teach that Christ’s return will happen on a particular day? Some Christians have seen this phenomenon predicted more than once in their lives and so chalk it up to a nut-case. Some Christians see the billboards and wonder because they do not know their Bible. Some Christians read what appears to be a Godly pamphlet and wonder if they have missed something. And Satan smiles with delight. Jesus, in His own words told the disciples: “It is not for you to know times or seasons that the Father has fixed by his own authority.” [Act 1:7] Jesus, the Master Teacher did not make mistakes or have after thoughts about what He spoke about. The tone of what He plainly said “It is not for you to know…” seems to imply that we can ask but we will not get an answer. Jesus spoke these words as He was departing from the disciples. They were asking questions that were running through their collective minds. These were troubling times for them. I agree with one commentator who said that this was a rebuke to them and a cautionary statement for the church down through the ages. Beware of getting focused on the wrong things; intruding into things that I have expressly stated as forbidden knowledge. The implication for the church is there are limits to our curiosity. In other words: “…concerning that day and hour no one knows, not even the angels of heaven, nor the Son, but the Father only.” [This is quoting Jesus from Mat 24:36] Finding scriptural evidence to the contrary of what Jesus spoke plainly about is walking into Satan’s trap. Like Eve, we miss what is right because we fail to remember to go to the Source of all knowledge. Instead we create perplexing questions that take our eyes off of Jesus. By doing that we miss the very next thing that Jesus told His inquiring disciples: “But you will receive power when the Holy Spirit has come upon you, and you will be my witnesses in Jerusalem and in all Judea and Samaria, and to the end of the earth.” [Act 1:8] You are asking about end times but that question is irrelevant to the business that I want you as my church to be about. Being my witnesses is you work now and in the future until I change it. Jesus warned clearly that the church would encounter people creating parties and factions. Jesus warned that Satan appears as an angel of light so that he can deceive people with the greatest evil with a convincing show of what appears good. Jesus warns that Satan will incite men who pretend that they have some special insight or divine inspiration that runs outside of the Word of God but it is a lie. Jesus warns that Satan will take advantage when there is trouble that threatens our security; people will seek out anything that looks like salvation.